The mobile workforce continues to rise—and so are the risks of litigation. As employees use more devices, messaging systems, and cloud apps like Box.com and Google for Work, responding to legal hold or eDiscovery requests becomes more costly and time consuming. According to Norton Rose Fulbright, 34 percent of companies in 2014 faced at least one lawsuit with more than $20 million at issue. 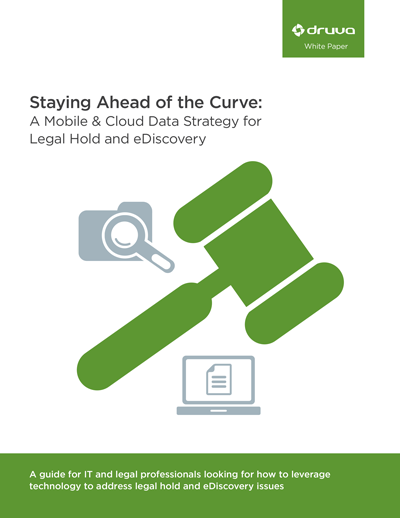 Access the white paper to learn how to build a comprehensive strategy for legal hold and eDiscovery data collection.